We can customize your light tour for either a romantic ride or a fun filled family ride with the kiddos, viewing the lights around the city in one of our luxury SUVs or our 14 passenger Limo Bus. We will help you customize a route based on your location and duration of your package. We service the entire Phoenix Metro area. 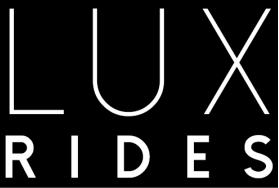 Lux Rides will pick you up and whisk you away stopping where you please and letting you take in the scenery. Our Limo Buses can accommodate 12-14 passengers. Hot Cocoa bar and Cookies provided. Additional hours can be purchased for $99. Santa's Luxury sleigh will pick you and your little ones up for a fun filled evening, driven by Santa's helpers We will assist you with a custom route based on your location and duration. Sparkling Kid and Adult beverages will be included. Our luxury SUV's can accommodate up to 6 passengers.